A Nice Break in the Weather for the Little Goblins Thursday Night as High Pressure Builds over Central California Today into Friday……So far the Weather will be Dry But Cooler Sunday into Monday…. No changes to the Short Term Forecast…..
Temps today in the mid 50s then near 60 both Friday and Saturday. Tonight lows for the little goblins will be mostly low 40s but cooling to the upper 30s by 8:00pm. (With 700mb temps at or above +5c Thursday night through Saturday morning) Snow making conditions will become more marginal again. However by Sunday, colder air will invade the upper elevations after Midnight Saturday night with improving snow making conditions…..The First part of next week looks ideal! The Weekend outlook looks breezy beginning Saturday evening then cooler and windy Sunday into Sunday night. Lots of high clouds as well. So far the showers are expected to stay up to the north of us, down to about Coleville, Ca However, if that system sharpens up any more, the Dweebs can not rule out a few snow showers, especially if we get clipped by a late trailing Vort Max on the back side of the upper Trof later Sunday or Monday AM. Longer Range Progs push back the pattern change for significant storminess….To begin between the 12th and 14th of November. Remember especially this time of the season……the target often times will change in both directions so stay tuned!! 1. The Forecast for November shows normal precipitation and colder than normal temperatures. 2. “The Main Stormy Period” according to the CFS with the best chance of snowfall is the period between the 14th through the 20th of November………………. 500 hpa heights will rise today through Friday as warmer air moves in from the Eastern Pacific over the colder air in place. Antecedent moisture left from yesterdays storm will combine with a strengthening inversion to create freezing fog conditions….mainly after midnight tonight and into the morning hours along the highway 395 corridor. This will be especially true, in and around the open area lakes like Mono and Crowley Lake. Freezing fog can be a problem for drivers on bridges, as well as your windshield because of reduced visibility. Here in Southern Mono County, the 395 highway stretch through the Long Valley area is favored for radiational and freezing fog. 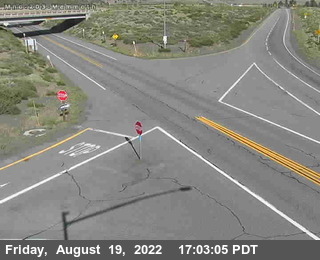 Its bridges between the Sherwin Summit and the Mammoth turn off can be hazardous for motorist’s not accustomed to driving in such conditions. Put windshield defrosters on warm then high heat before you get into that area. That is the best way to drive through it and of course slow down before you get into the Ice Fog. Comment and recap of the last storm. There was a lot of hype during the last storm that caught all forecasters off guard on the amount of precipitation that fell in the Mammoth area. The storm was prefaced by a high wind event Sunday night in which several areas lost power. Precipitation began in the form of snow about 3:00am Monday morning after the front moved through. The short term models came in sync indicating a 110 Knot upper jet along then off shore as the system evolved. Moisture developed over California as the system deepened. It seemed that the models were constantly playing catch up to the storm itself. No doubt that there was an orographic effect to this system as reflected in snowfall amounts, even though it was uncharacteristic of the weather type itself. The Storm system brought at least a foot over the Mammoth Sierra Crest with an estimated .94 inches of water over the Pass according to telemetry. 10 inches of snow was measured at the plot according to Joni Lynch at Mammoth Mt. Given the orographic nature of the event, it was highly unlikely that 10 inches of snow fell at elevations between 8000 and 8300 as reported by some zealot’s. Gusty winds in convective showers most likely resulted in tallied amounts as such, most likely in areas lee of buildings or trees. At Mamothweather.com, the snow melt tip bucket tallied .44 inches of water. I measured between 6 to 8 inches of snow with a few areas up to 10 inches. Again, in areas “Lee” of trees, caused by blowing and drifting. The temperature of 25 degrees can foster ratios of up to 15:1. Moving on….Ridging is the word the next few days. Along with the ridging comes warmer temps. Highs may climb as high as 60 by Friday or Saturday. Nighttime lows will be effected by temperate inversions with the coldest temps in the lower Mono County Basins or valleys. The pattern remains progressive and a series of short wave trofs will ride mainly to the north of Mammoth through early next week. The next system over the weekend will bring mainly high clouds to Mammoth with breezy conditions developing later Saturday into Sunday. A dry cool front will bring cooling to the tune of some 10 to 15 degrees by Sunday over Saturdays highs. Monday will be cooler yet with highs near 40. Temperatures remain a bit below normal for the most part as we transition from October to November. So Far…..It is a dry 5 to 7 day outlook. There is certainly excitement for the possibilities in the longer range. The PNA teleconnection pattern is expected to become more negative in nature as the calendar progresses beyond mid week next week. A long wave trof is more likely than not, expected to set up along the west coast and eventually effect the southern half of the west coast as the Polar Jet makes a return for the Winter. The timing of the Ensembles of both global models, is about 24 hours apart. The ECMWF is the fastest bringing in the first salvo of precip Thursday PM the 7th while the GFS ESM is later the next day Friday. The good news is that there is a strong suggestion is that this is not just a one shot deal. Rather a series of storms as the pattern or should I say west coast negative height anomaly intensifies (deepens) into the following week. Regarding the MJO’s support for a pattern change later next week. The MJO is weak and not expected to provide modulation to the westerly’s. However, both the ECMWF and GFS ensemble runs have a strengthening signal indicated in them. According to the CPC, this is due to other modes of tropical variability. Longer range GFS week 2 proggs are consistent in a stormy period the 2nd half of next week while little in the way of precipitation is shown for the Sierra by the ECMWF through 360 hours. Upper low over north central NV will begin to exit later today. As it does one last vort center will sweep SSW across Eastern Ca, combining with 700mb RH of 70%+ for some upslope conditions this afternoon on the eastern slopes of the sierra. So expect a few more inches of snow today…. By tonight, the system should be into Utah as 500MB heights rise over California drying us out and warming us up. Longer range models still looking very good for a series of storms with positive tilt systems entraining possibly subtropical moisture later next week. As mentioned before, the MJO is expected to become more active from it currently inactive state. NCEP Global forecast Ensembles has a strong intrusion in the phase 1 region later next week…should it more to phase 2…that would be quite favorable for storminess climo wise. Blocking over AK is still in the cards late next week. PS the ECM is not nearly as bullish…. This was a storm that exceeded everyone’s expectations. Including, The NWS, The Dweebs and all the weather weenies I know! But who cares! The mountain picked up about a foot. Near the village, 8 to 10 inches fell and even over the lower elevations of town about 6 inches. What happened??? The Dweebs could not follow on a hour by hour bases, but this morning about 9:00am a rather intense band of precipitation developed over the central part of Mono County around Bridgeport. It slowed and it was S to S+ for about three hours. About 6 inches fell in a 6 hour period. Mother Nature can make one quite humble when she decides to. The 00z Monday ECMWF had precipitation over the Mono County Crest only up to a 1/2 inch of QPF. The current upper low is spinning over Central NV with the low at 700mb over northern NV. The upper jet is still off shore. No doubt more showers will continue to circulate around the upper center… Later Radar from SFO has a band that is up over Reno that will most likely slide down our way in the northerly flow. So a few more inches of snowfall is certainly possibly over night. Actually, until the upper center moves out of NV we will have the chance of showers as a lot of moisture has been brought into this system from the off shore jet that is still doing its thing! A few more inches is possible over night. All models purge the upper low out of the Great Basin by Wednesday. There after, a renewed period of fair weather is expected with a warm up into the 50s. All Hallows Eve still looks fair. If you read my mornings discussion in the outlook, it still portrays the longer range. IE the period of the second half of next week….It looks stormy!! The past few days, the Dweebs believed that the ECMWF was over done on its precipitation for today. As of 9:00AM It looks like it is going to pan out with some 6 to 7+ inches of snow at the Plot at 9,000 ft Temperatures are in the low 20s and so SNOW TO WATER RATIOS ARE HIGH. The heaviest snowfall will be confined to the morning. So showery weather will occur this afternoon and evening with lighter accumulations. Western Hemispheric Pattern according to the Climatic Prediction Center trends strongly toward a positive NAO and Negative PNA. 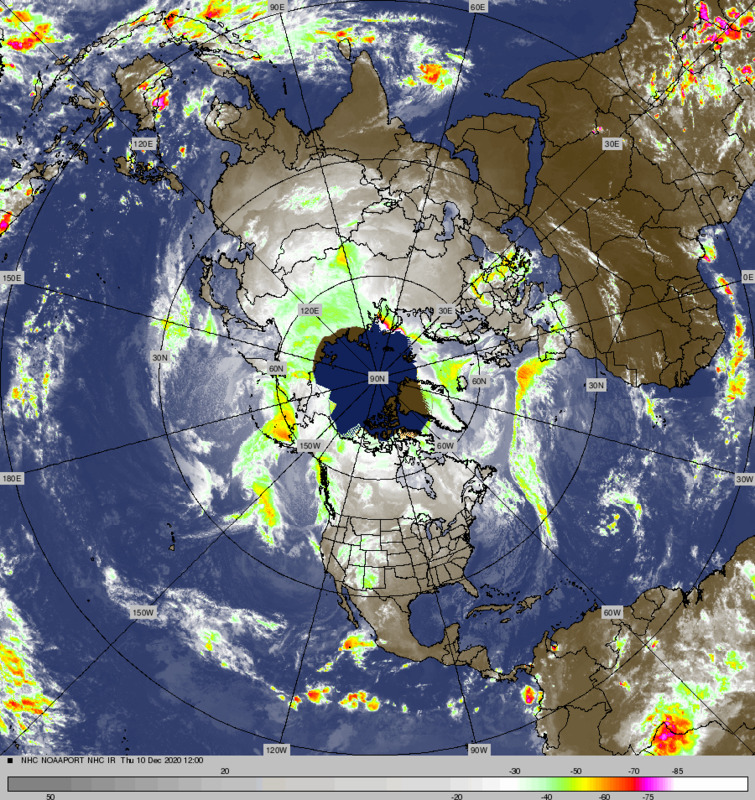 This coincides with strongest storm to hit British Isles in 10 years. With a Positive NAO, lower pressures is found in the polar regions with polar jet retracting and consolidating northward into north Atlantic. This results in milder temps for east coast and stormy conditions in England. At the sametime…..the PNA forecast is to become more negative with time with high latitude blocking in North Pacific (Alaska) and deepening troughs over Western US. Surface low deepening in Western Pacific beginning 00z 30th with amplification energy (Hovmoller) reaching west coast around 00z Nov 3rd Sat PM. There is good model consensus among medium range models and ensembles with this trough moving into Western US this weekend. However, at the moment, the deterministic runs of todays ECMWF and GFS make for a low confidence forecast precip wise….IE not enough confidence to mention precipitation for next weekend……just cooling for Sunday. However that my change……. More importantly…..GFS through 384 hours hemispheric loop shows high latitude blocking in Northern Pacific and digging troughs (negative anomalies) over Western US. This should be reflected in a more negative PNA over the far west Week 2. UPSHOT…..Odds increasing for a series of central west coast storms as high latitude blocking north of Alaska with time suppresses the polar Jet with a split and strong southern branch effecting mainly central and southern California with time. MJO Tropical Forcing is expected settle into Phase spaces 1 and 2 later this week. This supports west coast storm track Week two. No changes this morning except to tweak the timing a bit and to highlight a windier system. The Blended QPF is still about a half-inch in the vicinity of Mammoth Mt. So 1 to 3 inches seems good for the Town of Mammoth and between 3 inches and as much as 5 or 6 inches over the crest and in the bowls. For Mammoth Mt, this is not a system that has a favorable Orographical component to it like other areas both north and south where amounts will be greater. Timing of the system appears to be quicker now with the cold front blowing through our area before Sunrise Monday. Most of the precipitation will occur behind the front. However, most of the wind will occur before the front. So it would be very wise to tie down those hot tub covers now! Daytime highs in Mammoth Monday will be difficult to move above freezing at elevations above 8,000ft. There appears to be a pretty strong band of precip developing behind the front. For the time being it is not expected to stay strong enough this far south to change the QPF for our area. The outlook looks Dry Wednesday through the end of the week. High temps moving back into the 50s by Friday with flat ridging spreading over our area for All Hallows Eve so keep a candle in Jacko to keep him warm for that night. The Weekend will be fair with seasonal temps in the 50s for the days and 20s at night. There is another weather system that will affect our area possible as early as the following Monday/Ngt. The ECMWF has it coming in as a Trough from the west that would bring addition snowfall to our area. However the GFS model has it as an inside slider which is typically dry. Although the Westerly’s are gaining strength now with the jet stronger and pushing further south…….It is too soon to plan on more naturel snow. As always stay tuned…..the Dweebs have you covered……………….. The last weekend in October to finish off on a warm note with increasing winds Sunday night leading to snowfall by Mid morning Monday……Forecast Models agreeing on a more westerly trek now with Signifacant Accumulations fo the Sierra Monday into Tuesday night…..
Models have come around to the thinking of the ECMWF (European model) that the system will take a more westerly trek with the upper jet enough off shore, allowing the Front Rt exit region to do its magic by providing lift and vorticity over and near the coastal waters of the far eastern pacific. This bodes well for more significant accumulations now for the Sierra with a good 3 to 6 inches possible beginning Monday morning through Tuesday night. The new 12z NAM shows a slowing of the system over California, which if correct would keep the showers going possibly into Wednesday AM over the Southern Sierra. So the Dweebs are predicting 3 to 6 inches over the upper elevations beginning Monday AM through Tuesday night. The snow level will begin about 8500 but lower rapidly Monday to 5000ft. It is likely that Tioga and Sonora passes will close early Monday AM…so visitors in the eastern sierra plan accordingly…. ACE Index: Accumulated Cyclone Energy Index. The measure of total seasonal activity used by NOAA. It is a wind energy index that is defined as the squares of the maximum sustained surface wind speed, in knots, measured every 6 hours for all named storms while they are at least tropical storm strength. The ACE index is combined with the seasonal total number of named storms, hurricanes, and major hurricanes to categorize a hurricane season as being above normal, near normal, or below normal. The 1950-2000 seasonal average for ACE in the Atlantic Basin is 96.